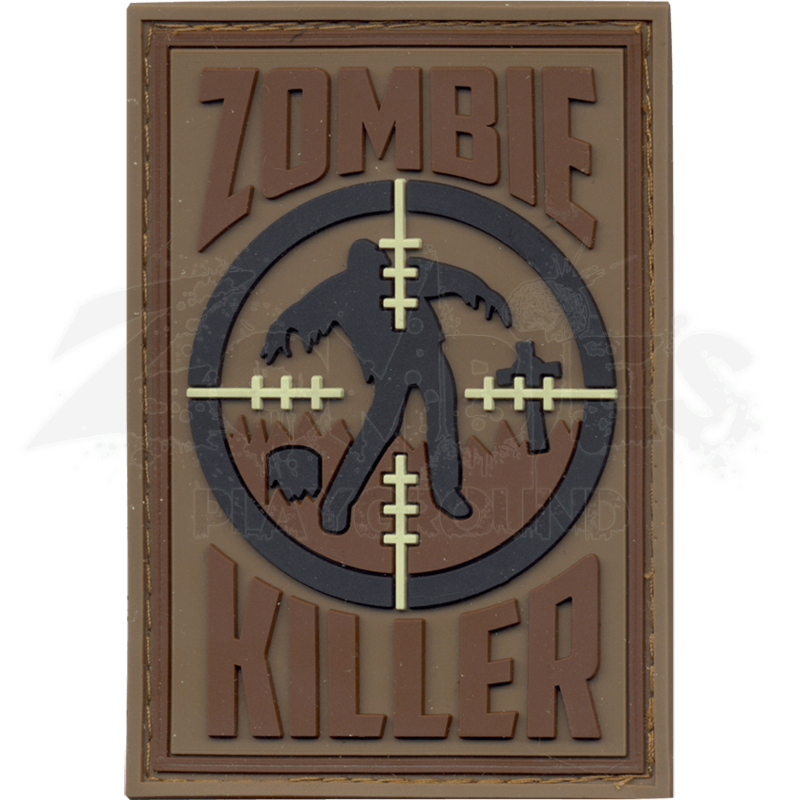 If you are mentally and physically ready for the end of the world then the PVC Zombie Killer Patch can be a great accessory for you. This daring accent is sure to become a treasured addition to your gear when you are putting down zombies. This item was carefully crafted from PVC to produce an action packed look at the zombie apocalypse. With a hook backing you can apply this to any surface that has Velcro looping. This morale patch depicts the silhouette of a corpse walking through a graveyard. The outline of a rifle reticle is zeroed in on this zombie and ready to take him out. There is the phrase, ZOMBIE KILLER molded on the bottom of this rectangular accent. 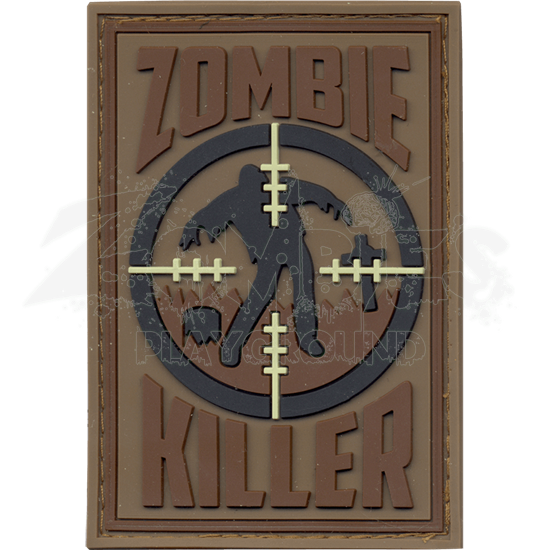 Breathe new life into your tactical apparel and gear with the Cloth Zombie Killer Patch and get ready to hunt the dead.